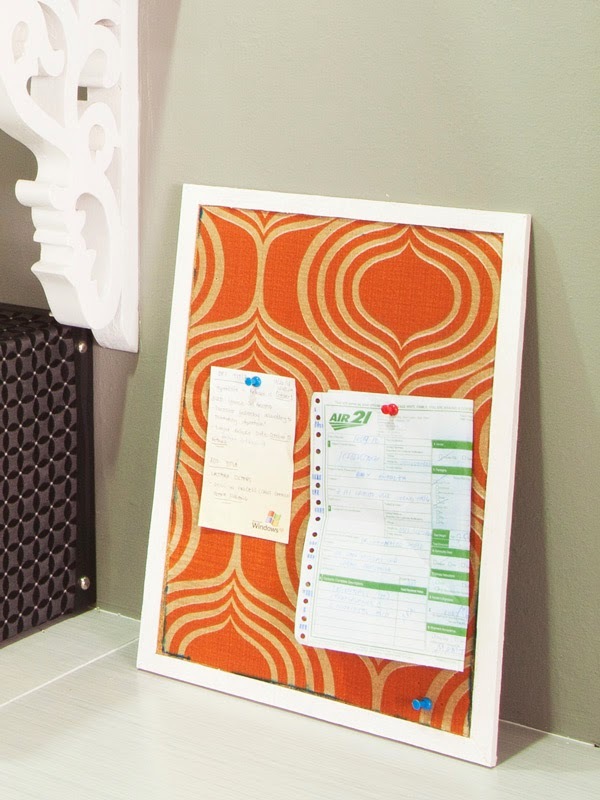 Now that you've seen our home office, time for some DIY tutorials! 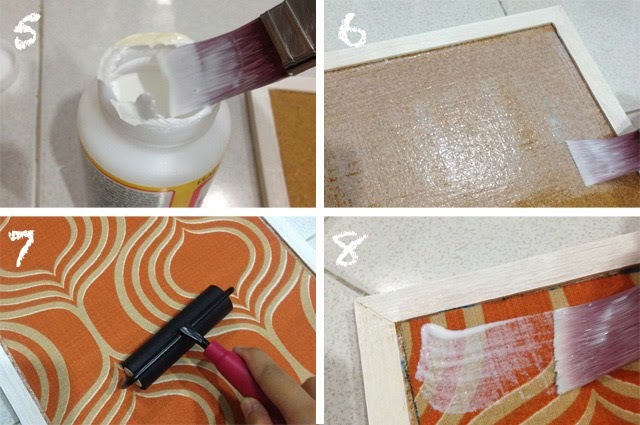 I first heard about decoupage in one of my fave sites, A Beautiful Mess. They featured a project that involved Instagram photos posted on a 12x12 blank canvass which, by the way, I'm also planning to do when I have the time (but I don't think that will happen soon). Hee. So since then, I got obsessed with Modge Podge! I bought mine via my BFF Michelle who's based in LA (it wasn't available here at that time), along with other crafty tools like the 1-inch flat brush and a roller. 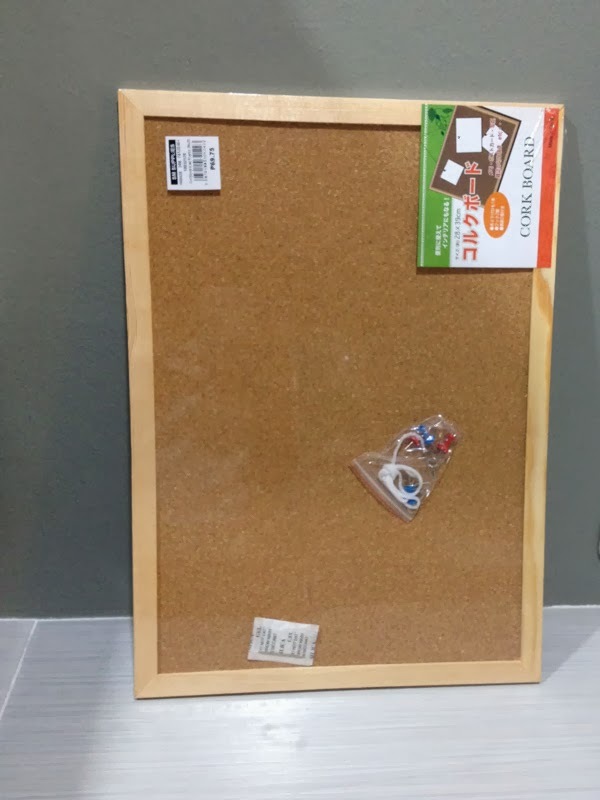 Initially, I wanted a nice magnetic board for the office but we're kinda on a budget (plus I wanna try the Modge Podge, yes, that's really the main reason) so I decided to get cheap cork boards from The SM Store stationery section instead. First on the agenda was to paint the borders white to blend in with the hanging shelves. Read on for the step-by-step process below. 2. Tape all corners to protect the cork from getting painted on. 3. Paint! Don't forget to put old newspaper underneath to catch all paint drips because you can get clumsy, you know. 4. 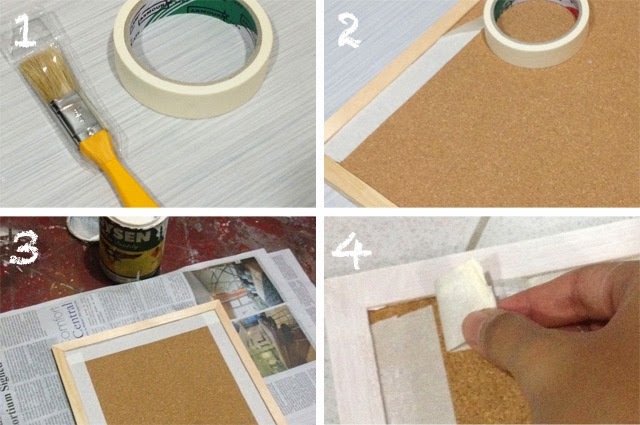 Let it dry for at least two hours and then peel off the masking tape. 5. Dip the brush in the Modge Podge tub. 6. Paint it on the whole cork surface. 7. Place the fabric on top. Use the roller to make sure that there are no bubbles popping up. 8. Seal it again with a coat of Modge Podge, and let it dry overnight! Up next: The In-and-Out Tray. 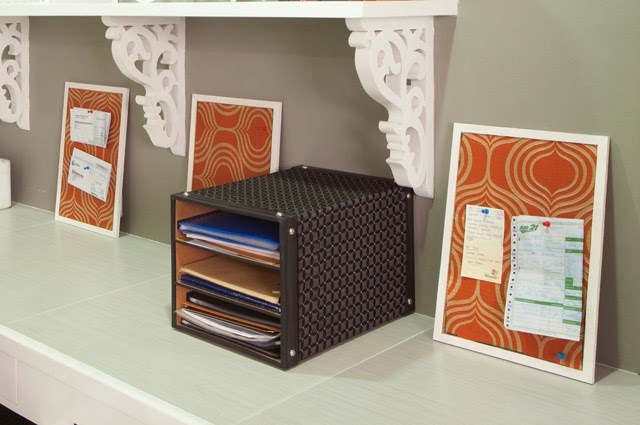 Actually, it's originally a file folder case which we bought from Office Warehouse for around P600. 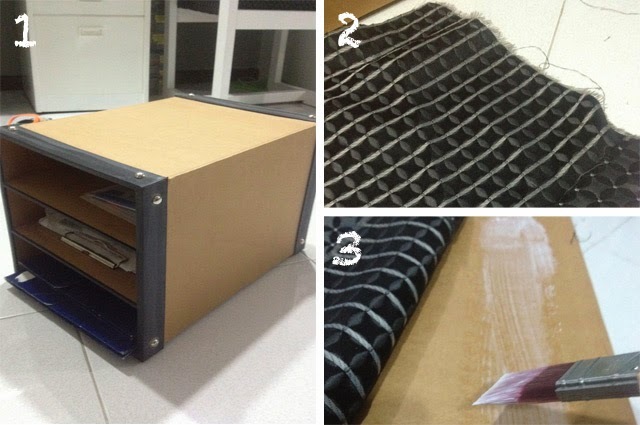 Made of super thick and heavy cardboard, the set contains three file holders that you can pull out from the slots. Unfortunately, the case woudn't fit in the vertical cabinet so I decided to use it as an in-and-out tray instead. And because it looks boring, plus I still have excess fabric from the re-upholstered chairs, I decided to give it a shot! 1. Measure the box accordingly. What do you guys think? 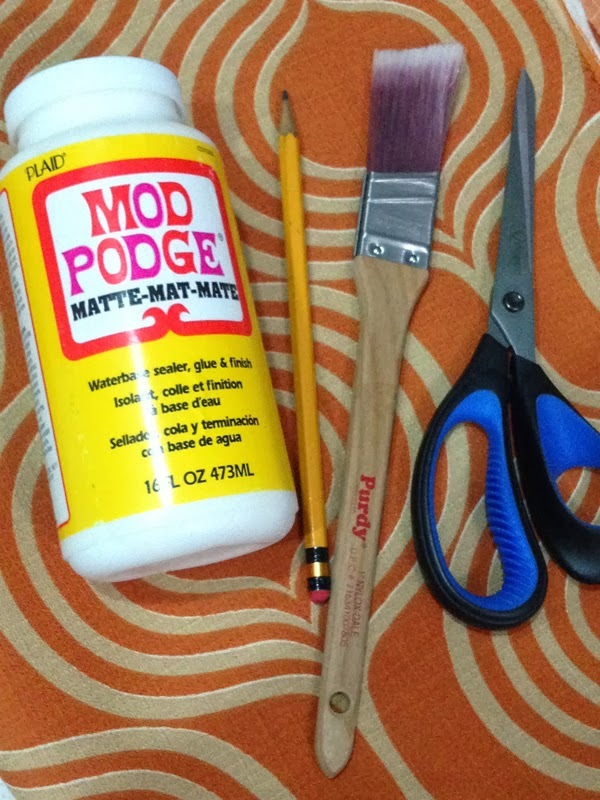 I know a lot of craft stores are selling Modge Podge now so go ahead and purchase your own tub and decoupage away! Click here to see the rest of our home office.